In my last post I ended with the question of whether science in the pure sense can withstand science in the corporate, institutional, and academic senses. Here’s a bit more on the matter. Ronald Reagan, pandering to a church group in Dallas, famously said about evolution, “Well, it is a theory. It is a scientific theory only.” (George Bush, often “quoted” as saying this, did not.) Reagan was likely ignorant of the distinction between two uses of the word, theory. On the street, “theory” means an unsettled conjecture. In science a theory – gravitation for example – is a body of ideas that explains observations and makes predictions. Reagan’s statement fueled years of appeals to teach creationism in public schools, using titles like creation science and intelligent design. While the push for creation science is usually pinned on southern evangelicals, it was UC Berkeley law professor Phillip E Johnson who brought us intelligent design. For earlier thoughts on each of Overton’s five points, see, respectively, Isaac Newton, Adelard of Bath, Francis Bacon, Thomas Huxley, and Karl Popper. In the late 20th century, religious fundamentalists were just one facet of hostility toward science. Science was also under attack on the political and social fronts, as well an intellectual or epistemic front. President Eisenhower, on leaving office in 1960, gave his famous “military industrial complex” speech warning of the “danger that public policy could itself become the captive of a scientific technological elite.” At about the same time the growing anti-establishment movements – perhaps centered around Vietnam war protests – vilified science for selling out to corrupt politicians, military leaders and corporations. The ethics of science and scientists were under attack. Also at the same time, independently, an intellectual critique of science emerged claiming that scientific knowledge necessarily contained hidden values and judgments not based in either objective observation (see Francis Bacon) or logical deduction (See Rene Descartes). French philosophers and literary critics Michel Foucault and Jacques Derrida argued – nontrivially in my view – that objectivity and value-neutrality simply cannot exist; all knowledge has embedded ideology and cultural bias. Sociologists of science ( the “strong program”) were quick to agree. This intellectual opposition to the methodological validity of science, spurred by the political hostility to the content of science, ultimately erupted as the science wars of the 1990s. To many observers, two battles yielded a decisive victory for science against its critics. The first was publication of Higher Superstition by Gross and Levitt in 1994. The second was a hoax in which Alan Sokal submitted a paper claiming that quantum gravity was a social construct along with other postmodern nonsense to a journal of cultural studies. After it was accepted and published, Sokal revealed the hoax and wrote a book denouncing sociology of science and postmodernism. Sadly, Sokal’s book, while full of entertaining examples of the worst of postmodern critique of science, really defeats only the most feeble of science’s enemies, revealing a poor grasp of some of the subtler and more valid criticism of science. For example, the postmodernists’ point that experimentation is not exactly the same thing as observation has real consequences, something that many earlier scientists themselves – like Robert Boyle and John Herschel – had wrestled with. Likewise, Higher Superstition, in my view, falls far below what we expect from Gross and Levitt. They deal Bruno Latour a well-deserved thrashing for claiming that science is a completely irrational process, and for the metaphysical conceit of holding that his own ideas on scientific behavior are fact while scientists’ claims about nature are not. But beyond that, Gross and Levitt reveal surprisingly poor knowledge of history and philosophy of science. They think Feyerabend is anti-science, they grossly misread Rorty, and waste time on a lot of strawmen. Following closely on the postmodern critique of science were the sociologists pursuing the social science of science. Their findings: it is not objectivity or method that delivers the outcome of science. In fact it is the interests of all scientists except social scientists that govern the output of scientific inquiry. This branch of Science and Technology Studies (STS), led by David Bloor at Edinburgh in the late 70s, overplayed both the underdetermination of theory by evidence and the concept of value-laden theories. These scientists also failed to see the irony of claiming a privileged position on the untenability of privileged positions in science. I.e., it is an absolute truth that there are no absolute truths. While postmodern critique of science and facile politics in STC studies seem to be having a minor revival, the threats to real science from sociology, literary criticism and anthropology (I don’t mean that all sociology and anthropology are non-scientific) are small. But more subtle and possibly more ruinous threats to science may exist; and they come partly from within. Modern threats to science seem more related to Eisenhower’s concerns than to the postmodernists. While Ike worried about the influence the US military had over corporations and universities (see the highly nuanced history of James Conant, Harvard President and chair of the National Defense Research Committee), Eisenhower’s concern dealt not with the validity of scientific knowledge but with the influence of values and biases on both the subjects of research and on the conclusions reached therein. Science, when biased enough, becomes bad science, even when scientists don’t fudge the data. Pharmaceutical research is the present poster child of biased science. Accusations take the form of claims that GlaxoSmithKline knew that Helicobacter pylori caused ulcers – not stress and spicy food – but concealed that knowledge to preserve sales of the blockbuster drugs, Zantac and Tagamet. Analysis of those claims over the past twenty years shows them to be largely unsupported. But it seems naïve to deny that years of pharmaceutical companies’ mailings may have contributed to the premature dismissal by MDs and researchers of the possibility that bacteria could in fact thrive in the stomach’s acid environment. But while Big Pharma may have some tidying up to do, its opponents need to learn what a virus is and how vaccines work. Pharmaceutical firms generally admit that bias, unconscious and of the selection and confirmation sort – motivated reasoning – is a problem. Amgen scientists recently tried to reproduce results considered landmarks in basic cancer research to study why clinical trials in oncology have such high failure rate. They reported in Nature that they were able to reproduce the original results in only six of 53 studies. A similar team at Bayer reported that only about 25% of published preclinical studies could be reproduced. That the big players publish analyses of bias in their own field suggests that the concept of self-correction in science is at least somewhat valid, even in cut-throat corporate science. Some see another source of bad pharmaceutical science as the almost religious adherence to the 5% (+- 1.96 sigma) definition of statistical significance, probably traceable to RA Fisher’s 1926 The Arrangement of Field Experiments. The 5% false-positive probability criterion is arbitrary, but is institutionalized. It can be seen as a classic case of subjectivity being perceived as objectivity because of arbitrary precision. 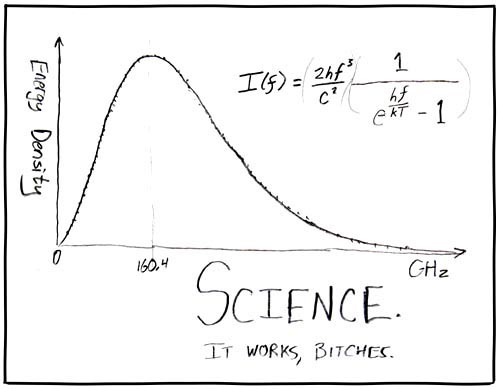 Repeat any experiment long enough and you’ll get statistically significant results within that experiment. Pharma firms now aim to prevent such bias by participating in a registration process that requires researchers to publish findings, good, bad or inconclusive. Academic research should take note. As is often reported, the dependence of publishing on tenure and academic prestige has taken a toll (“publish or perish”). Publishers like dramatic and conclusive findings, so there’s a strong incentive to publish impressive results – too strong. Competitive pressure on 2nd tier publishers leads to their publishing poor or even fraudulent study results. Those publishers select lax reviewers, incapable of or unwilling to dispute authors. Karl Popper’s falsification model of scientific behavior, in this scenario, is a poor match for actual behavior in science. The situation has led to hoaxes like Sokal’s, but within – rather than across – disciplines. Publication of the nonsensical “Fuzzy”, Homogeneous Configurations by Marge Simpson and Edna Krabappel (cartoon character names) by the Journal of Computational Intelligence and Electronic Systems in 2014 is a popular example. Following Alan Sokal’s line of argument, should we declare the discipline of computational intelligence to be pseudoscience on this evidence? Note that here we’re really using Bruno Latour’s definition of science – what scientists and related parties do with a body of knowledge in a network, rather than simply the body of knowledge. Should scientists be held responsible for what corporations and politicians do with their knowledge? It’s complicated. When does flawed science become bad science. It’s hard to draw the line; but does that mean no line needs to be drawn? Environmental science, I would argue, is some of the worst science passing for genuine these days. Most of it exists to fill political and ideological roles. The Bush administration pressured scientists to suppress communications on climate change and to remove the terms “global warming” and “climate change” from publications. In 2005 Rick Piltz resigned from the U.S. Climate Change Science Program claiming that Bush appointee Philip Cooney had personally altered US climate change documents to lessen the strength of their conclusions. In a later congressional hearing, Cooney confirmed having done this. Was this bad science, or just bad politics? Was it bad science for those whose conclusions had been altered not to blow the whistle? The science of climate advocacy looks equally bad. Lack of scientific rigor in the IPCC is appalling – for reasons far deeper than the hockey stick debate. Given that the IPCC started with the assertion that climate change is anthropogenic and then sought confirming evidence, it is not surprising that the evidence it has accumulated supports the assertion. Compelling climate models, like that of Rick Muller at UC Berkeley, have since given strong support for anthropogenic warming. That gives great support for the anthropogenic warming hypothesis; but gives no support for the IPCC’s scientific practices. Unjustified belief, true or false, is not science. Climate change advocates, many of whom are credentialed scientists, are particularly prone to a mixing bad science with bad philosophy, as when evidence for anthropogenic warming is presented as confirming the hypothesis that wind and solar power will reverse global warming. Stanford’s Mark Jacobson, a pernicious proponent of such activism, does immeasurable damage to his own stated cause with his descent into the renewables fantasy. Finally, both major climate factions stoop to tying their entire positions to the proposition that climate change has been measured (or not). That is, both sides are in implicit agreement that if no climate change has occurred, then the whole matter of anthropogenic climate-change risk can be put to bed. As a risk man observing the risk vector’s probability/severity axes – and as someone who buys fire insurance though he has a brick house – I think our science dollars might be better spent on mitigation efforts that stand a chance of being effective rather than on 1) winning a debate about temperature change in recent years, or 2) appeasing romantic ideologues with “alternative” energy schemes. Science survived Abe Lincoln (rain follows the plow), Ronald Reagan (evolution just a theory) and George Bush (coercion of scientists). It will survive Barack Obama (persecution of deniers) and Jerry Brown and Al Gore (science vs. pronouncements). It will survive big pharma, cold fusion, superluminal neutrinos, Mark Jacobson, Brian Greene, and the Stanford propaganda machine. Science will survive bad science because bad science is part of science, and always has been. 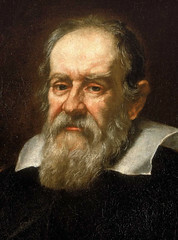 As Paul Feyerabend noted, Galileo routinely used propaganda, unfair rhetoric, and arguments he knew were invalid to advance his worldview. Theory on which no evidence can bear is religion. Theory that is indifferent to evidence is often politics. Granting Bloor, for sake of argument, that all theory is value-laden, and granting Kuhn, for sake of argument, that all observation is theory-laden, science still seems to have an uncanny knack for getting the world right. Planes fly, quantum tunneling makes DVD players work, and vaccines prevent polio. The self-corrective nature of science appears to withstand cranks, frauds, presidents, CEOs, generals and professors. As Carl Sagan Often said, science should withstand vigorous skepticism. Further, science requires skepticism and should welcome it, both from within and from irksome sociologists. This entry was posted on February 16, 2016, 1:27 am and is filed under History of Science, Philosophy of Science. You can follow any responses to this entry through RSS 2.0. You can leave a response, or trackback from your own site. Up to this point I’ve found your observations interesting. Now I’m not so sure. Let’s go back to gravitation, as in the commonly evoked, “Evolution is as well established as the theory of gravity [so Evolution must be true].” But we observe gravitation’s effects continually, therefore it’s existence, whatever its causes, is not in doubt. However, no one has ever observed the transformation of one biological species into another. Certainly not now and although there have been fantasies about “similarities” among fossils, these are continually refuted, albeit several years after they were declared “evidence for evolution.” Can you name one, unequivocally? “..science requires skepticism and should welcome it, both from within and from irksome sociologists,” presumably except when it comes to evolution, about which there can be no question and which must be true. I perceive evolution is your religion.